What if you could travel from New York to London in just over three hours? 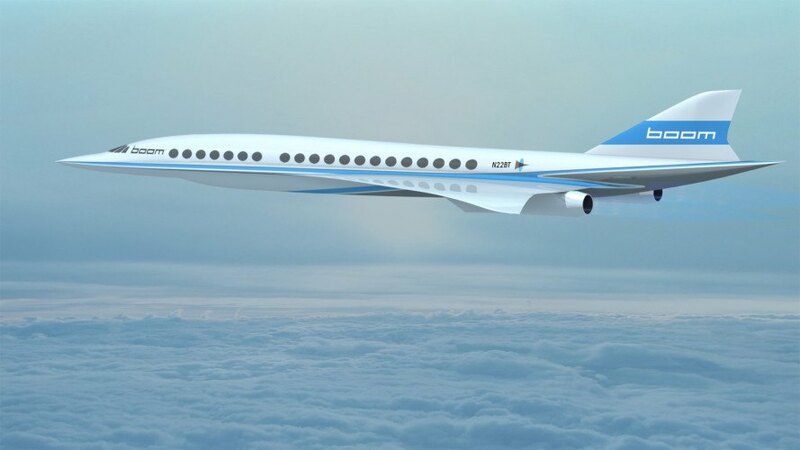 Colorado startup company Boom is designing a supersonic jet to make that vision a reality, and Richard Branson’s Virgin Group has optioned 10 planes and will help test them. “This isn’t science fiction – it’s possible now with today’s aerodynamics, carbon fiber composites, and the latest engine technology,” says Boom on their website. The team has the experience to back it up: a NASA engineer and Boeing engineer are part of an impressive roster whose members combined have worked on over 30 airplanes. Captain Mark Kelly, astronaut and twin of Scott Kelly, sits on the advisory board which also includes two former Lockheed Martin executives. Boom knows why the Concorde – the last ill-fated passenger supersonic jet – went out of business: it was just too expensive to keep the planes in the air. Their new design is targeted towards reduced costs. Lighter carbon fiber composite replaces heavy aluminum, and only 40 people will fly at a time. Their plane is also faster than the Concorde; it’s 2.2 times the speed of sound, and 2.6 times faster than any other airplane. Yet they plan to sell tickets for cheaper than their predecessor ever did. That New York to London flight? It will cost $5,000, which sounds pretty expensive until you learn that the average price of a Concorde flight was $12,000. 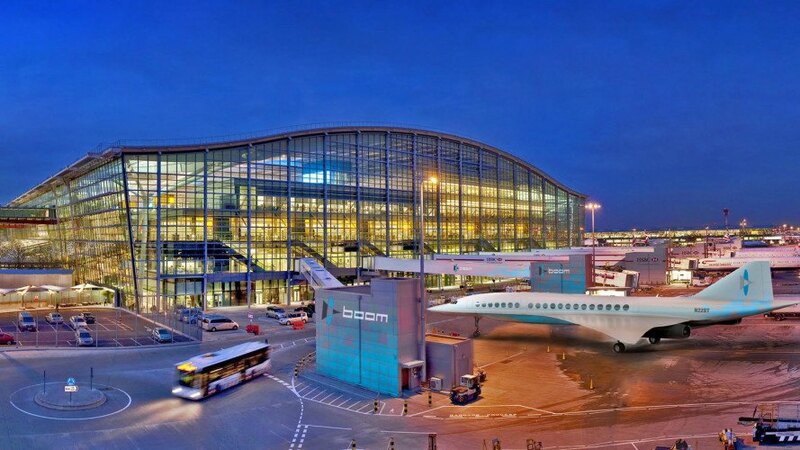 Boom’s flights will cut most travel times by about half; instead of the typical 7 hours, they’ll shoot passengers from New York to London in about 3.4 hours. A trip from San Francisco to Tokyo will cost $6,500, but will take 4.7 hours instead of 11. Virgin has not bought the 10 planes yet; their deal means that they’ve analyzed prototype plans and plan to buy 10 planes if all goes well. Virgin’s space outfit, The Spaceship Company, will help with design engineering, manufacturing, and testing, according to a spokesperson. An unnamed European airline has also optioned 15 planes. Prestigious startup incubator Y Combinator has already provided funding, along with a few other venture capital firms. Boom is currently at work on a prototype, and aims to fly in late 2017. Colorado startup Boom is designing the next supersonic passenger jet. Their plane with be 2.2 times the speed of sound and 2.6 times faster than other aircraft. Former NASA, Boeing, and Lockheed Martin engineers are part of the team.